Milwaukee, Wis. – April 19, 2018 – The Milwaukee Art Museum is showcasing three exhibitions this summer highlighting artistic technique and innovation. The exhibitions and accompanying programs center on how artists have pushed boundaries with subject, style, technique and material throughout history. The season begins with the exhibition Daring Technique: Goya and the Art of Etching on April 20. Focusing on Francisco de Goya’s creative use of the etching process, Daring Technique features a rare and complete first-edition set of his thirty-three print series La Tauromaquia. Etching provided 18th- and 19th-century European artists with the flexibility to explore new approaches quickly relative to engraving. Goya’s use of etching inspired many artists to look at the possibilities of printmaking in a new way. Additional material explains how prints are made and highlights the differences in a variety of artists’ printmaking explorations. Visitors will experience early nature photography that shaped America’s love of nature in Photographing Nature’s Cathedrals: Carleton E. Watkins, Eadweard Muybridge and H. H. Bennett beginning May 18. The exhibition displays rarely seen works by three nineteenth-century photographers, including mammoth-plate prints, panoramas and stereographs—the cutting-edge photographic technology of their time. These groundbreaking photographs helped bring the natural wonders of America to the attention of the country and the world. On June 22, the work of internationally renowned artist William Kentridge will be on view with an immersive multimedia experience that showcases the diverse skills of this contemporary South African artist. William Kentridge: More Sweetly Play the Dance is a monumental eight-channel projection that fills every room of the Museum’s Baker/Rowland Galleries, surrounding visitors in an expansive, multisensory experience. The projection combines drawing, stop-motion animation, video and music. Educational programs, including activities in the Kohl’s Art Generation Studio and young adult summer camps, will focus on the variety of techniques on display throughout the summer, helping connect the exhibitions to practical, hands-on art making for all ages. Home to a rich collection of more than 30,000 works of art, the Milwaukee Art Museum is located on the shores of Lake Michigan. 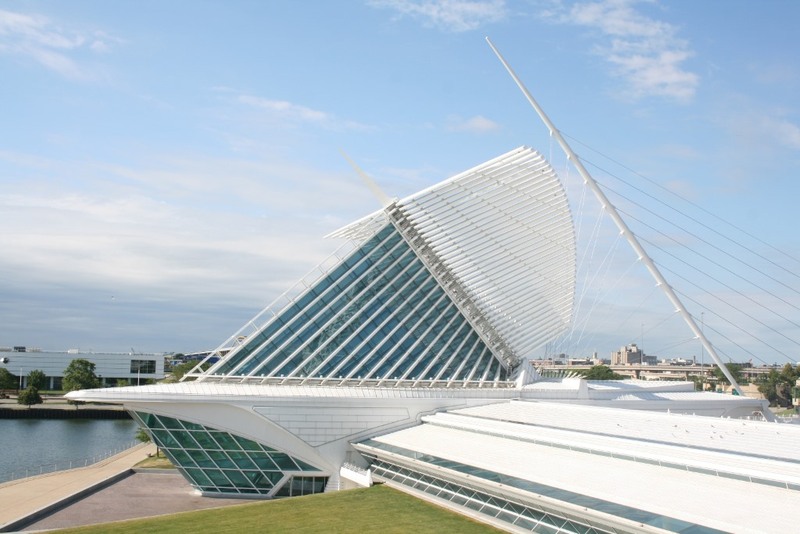 Its campus includes the Santiago Calatrava–designed Quadracci Pavilion, annually showcasing three feature exhibitions, and the Eero Saarinen–designed Milwaukee County War Memorial Center and David Kahler‒designed addition.In 2016, after a yearlong renovation, the Museum reopened its Collection Galleries, debuting nearly 2,500 world-class works of art within dramatically transformed galleries and a new lakefront addition. This reimagined space also allows for the presentation of additional changing exhibitions. For more information, please visit: mam.org.